…the storm has left death and destruction in its wake, killing at least 69 people thus far. 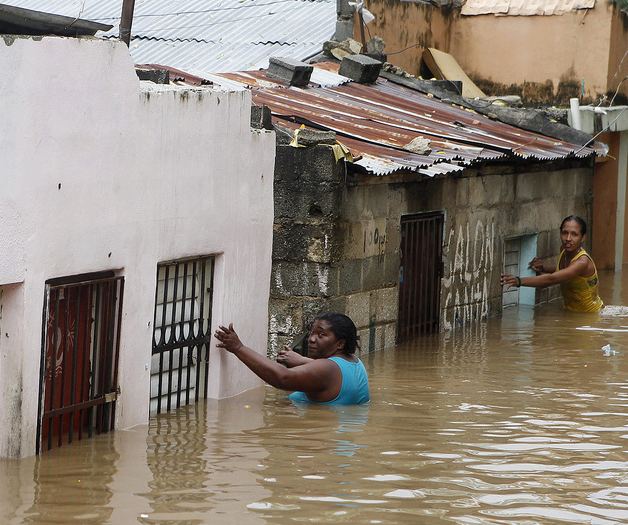 Caribbean countries, including Cuba and Haiti, felt the worst of it last week and over the weekend. On Wednesday, the hurricane moved across Jamaica as a Category 1 storm, leaving downed power lines and trees across the island nation. One man was killed by a boulder that crushed his house due to strong winds, the Associated Press reports. On Thursday, Sandy touched down in Cuba, killing 11 people in Santiago and Guantanamo provinces and increasing to a Category 2 hurricane. Authorities called it the island’s deadliest storm since Hurricane Dennis in 2005, which killed 16 and caused $2.4 billion in damage, the Associated Press reported. More than 3,000 buildings were damaged by Sandy’s wind and rain, according to Cuban state media reports.